The Sacred Page: Did Jesus Really Say He Would Be "Seated at the Right Hand of the Power"? Did Jesus Really Say He Would Be "Seated at the Right Hand of the Power"? 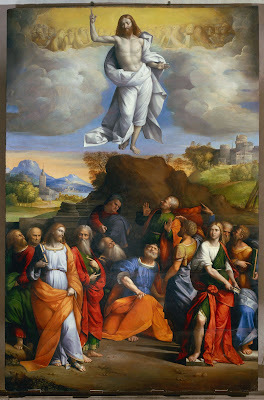 Happy Feast Day of the Ascension! Since, in the Catholic world, a Holy Day begins the evening before the day (i.e., the vigil), I thought I'd go ahead and put up this post. Two of the key texts associated with the Ascension are Psalm 110:1 and Daniel 7:13. Psalm 110:1: "The Lord says to my lord: 'Sit at my right hand, till I make your enemies your footstool'. Daniel 7:13: "I saw in the night visions, and behold, with the clouds of heaven there came one like a son of man, and he came to the Ancient of Days and was presented before him." Here I want to deal with the specific question of whether or not the historical Jesus used these two passages in reference to himself. “Again the high priest asked him, ‘Are you the Christ, the Son of the Blessed?’ 62﻿ And Jesus said, ‘I am; and you will see the Son of man seated at the right hand of Power, and coming with the clouds of heaven’” (Mark 14:61-62; cf. Matt 26:63-64 and Luke 22:69). Here I am not going to deal with the debate about whether or not this particular saying is referring to the Ascension. I want to instead deal with its historicity. ﻿Because Psalm 110 was used frequently in christological texts by the early church a number of scholars see this saying as a creation of the early Christian community and not an authentic saying of the historical Jesus. Is this compelling logic? I think not. First, we should mention that in other passages widely accepted as authentic, Jesus similarly combined different passages in the Old Testament (cf. e.g., Matt 11:5//Luke 7:22; Matt 21:13//Mark 11:17//Luke 19:46). Second, we know that Davidic psalms and Daniel 7 were seen as having eschatological referents in ancient Judaism. That Daniel 7 was viewed as an eschatological text not only flows naturally from its context, but is attested fromt the fact that a non-eschatological interpretataion of the text cannot be found until much later. In addition, the Dead Sea Scrolls use Davidic psalms in reference to the Messiah (e.g., 4Q174). There is no reason then to suppose Jesus, understanding himself as the messiah, could not have seen these texts as referring to himself. “And in one place in the Writings it is written, ‘The Lord said to my lord, ‘Sit at my right hand’ [Ps 110:1],’ and it is also written: ‘Behold, one came with the clouds of heaven, as a son of man’ [Dan 7:13] (Midr. Ps. 2.9 [on 2:7]; cf. 18.29 [on 18:36]). If later non-Christian Jewish rabbis could bring together these passages, why couldn’t Jesus? Third, in his excellent book, The Christology of Jesus, Ben Witherington highlights the fact that in 1 Enoch the “son of man” appears sitting next to God on a “throne of glory” (1 En. 45:3; 55:4; 62:5). He argues that the imagery also seems to draw on Daniel 7 and Psalm 1110. Here we canot get into the lengthy debate about the dating of the Similitudes. Suffice it to say, the argument that this section of 1 Enoch is a later addition simply because it was not found among the few fragments of the book discovered at Qumran is hard to believe (cf. Witherington, The Christology of Jesus, 234). If one turns to the criteria of authenticity, one can also find support. 1. The saying appears in all three Synoptic Gospels (multiple attestation)! 2. One might also see the quotation as constituting “embarrassment”―after all, when exactly did the high priest see Jesus coming with the clouds of heaven? 3. There is also a semitisim―Jesus’ speaks of being seated at the right hand of “Power”. This is repeated in all three Gospels. One is hard-pressed to find another passage where the early Christians used such language! Notably, however, the expression is found in rabbinic Judaism (Sipre Num. §112 on Num 15:31; b. ‘Erub. 54b; b. Šabb. 88b; b. Yebam. 105b; Tg. Job 5:8; 14:18 [var. ]; 18:4 [var.]). 4. In addition, Jesus’ words also appear coherent with Matthew 19:28, a text which is widely regarded as authentic. At this point it may be complained that Jesus’ claim to heavenly exaltation is clear evidence of early Christian theology. For many it is simply impossible to imagine that a first century Jewish man would have thought about himself in these terms. Aside from the fact that this is not an ordinary first-century Jew, but Jesus, I think there are others reasons to believe that this such thinking among scholars is faulty. considered despicable on my account? And who is comparable to me in my glory? will attack me when [I] op[en my mouth]? And who can endure the flow of my lips? Who the passage is describing is unclear. The mention of the Messiah in line 15 at least raises the possibility that he is in view. What cannot be doubted is that that the fragment describes the exaltation of a person who has borne sorrows and has “suffered evil” (cf. line 9). Again, if Jesus expected to die―and certainly at the point in the narrative where Jesus is being questioned by the high priest, it looks that way―this passage emerges as an interesting parallel. 2. The three-fold emphasis on the figure’s “glory” (כבוד) in lines 6-8 evokes the LXX of Isaiah’s prophecy where the term is also emphasized (cf. Isa 52:13, 14; 53:2). Of course, ancient Jews would probably not have distinguished this Servant song from the others, so it is also significant that the term is used in Isa 55:5 (MT and LXX). 3. The appearance of the imagery of "bearing" sorrows (נשא) (line 9) evokes Isa 53:4 ["he has borne our griefs and carried our sorrows"] and 53:12 [he bore the sin of many]. 5. The conflict described in lines 9-10 of the fragment bear striking similarity also to the Third Servant Song (cf. Isaiah 50:8-9: “Who will contend with me? Let us stand up together. Who is my adversary? Let him come near to me. ﻿9﻿ Behold, the Lord GOD helps me; who will declare me guilty?"). That the figure is associated with a “mighty throne” also evokes the imagery of the heavenly enthronement of the Son of Man on the “throne of glory” in 1 Enoch (1 En. 45:3; 55:4; 62:5). Here we have an important parallel with Jesus’ words before the High Priest. The fragment makes it especially historically plausible to believe that Jesus expected to suffer and be exalted by God. Other arguments here could also be put forward (see my dissertation once it's published). Suffice it to say, I don't think it likely that Jesus' words to the High Priest were a Christian invention. In particular the language here finds a close similarity with those attributed to the earliest Christian martyr, Stephen, in Acts 7:56: “Behold, I see the heavens opened, and the Son of man standing at the right hand of God.” However, an interpretation which sees the statement made by Jesus as a re-working of Stephen’s speech, it should be pointed out that the Stephen’s language lacks the semitism and is difficult to see as more ancient than Mark 14:62 and par. Cited from Evans, Jesus and His Contemporaries, 419. See Martin Hengel with Daniel P. Bailey, “The Effective History of Isaiah 53 in the Pre-Christian Period,” in Jesus and the Suffering Servant: Isaiah 53 and Christian Origins (Harrisburg: Trinity Press International, 1998), 143-44. Hey Michael, good post with alot of helpful background. I only have a few questions. 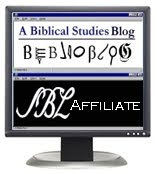 Does multiple attestation apply here if Matthew and Luke simply borrowed from Mark? And what you said about the "Power" is a good point, but what do you think of the fact that Mishnah Sanhedrin 7:5 seems to say that blasphemy only becomes a capital offense if you pronounce the tetragrammaton? IF Matthew and Luke are citing from Mark then you are right, the case for multiple attestation is problematic. We just do not know if that is the case. I have real problems with assuming the Two-Source Hypothesis when it comes to Jesus research. As to the blasphemy charge, I do not think that usual procedures were applied in Jesus' case--this was a mock trial. In addition, see Darrell L. Bock, Darrell Bock, Blasphemy and exaltation in Judaism and the Final Examination of Jesus: A Philological-Historical Study of the Key Jewish themes Impacting Mark 14:61-64 (Tübingen: Mohr-Siebeck, 1998); idem., “The Son of Man Seated at God’s Right Hand and the Debate over Jesus’ ‘Blasphemy,’” in Jesus of Nazareth Lord and Christ: Essays on the Historical Jesus and New Testament Christology (eds. J. B. Green and M. Turner; Grand Rapids: Eerdmans, 1994), 181-191. Great post, Michael. I'll be stopping by more in the future. I just wanted to encourage you to keep it up. In my experience, Jesus research gets off track or stays on track depending on its understanding of early Judaism as represented by the OTP and the DSS, along with archeology and the like. You've done a good job putting the Scrolls to the task. Thanks for a great post Michael. It's interesting to note that the Gospel of Peter also uses the language of "Power" to refer to God. See R. E. Brown's translation:  And the Lord screamed out, saying: 'My power, O power, you have forsaken me.' Do you think the Semitic background is retained in this later writing?